Born: November 29, 1833 in Sandwich Ma. 1. 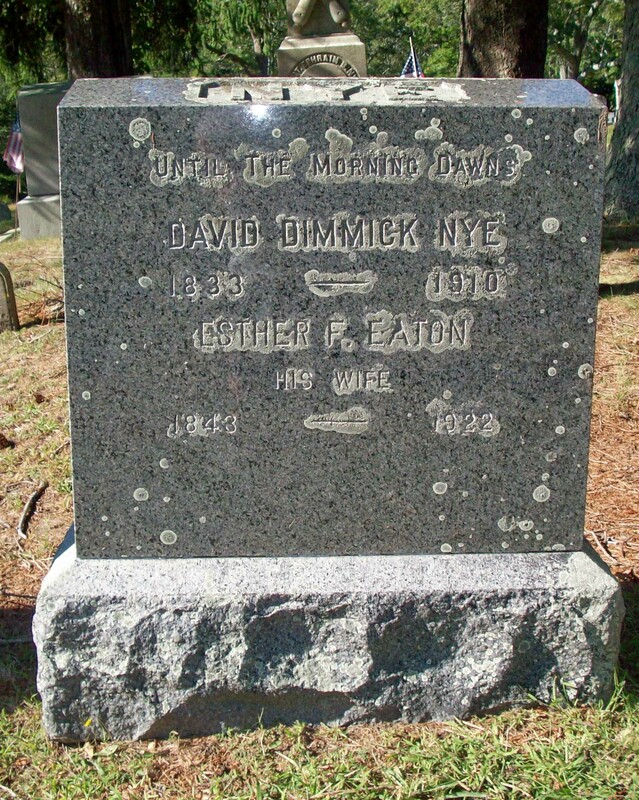 David William Nye, adopted; (May 12, 1874 – June 19, 1959); Married Alma P. Phillips (1876 – 1962) (Benjamin E. Phillips & Mary Ann Wilson) in Brookline Ma. 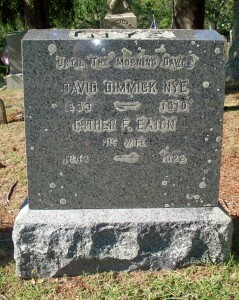 on June 3, 1902; David & Alma are buried in Cataumet Cemetery. 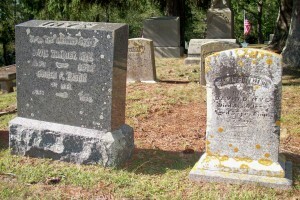 Married (2): October 4, 1888 in Bourne Ma. 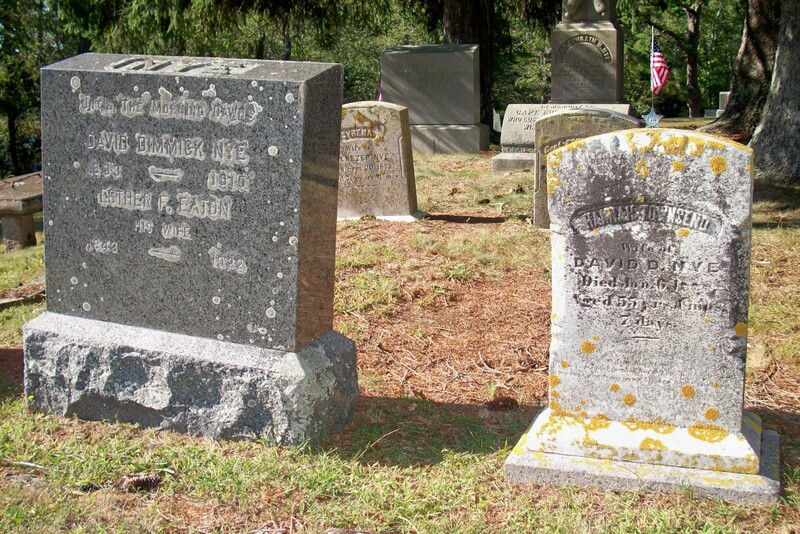 To: Esther F. Eaton Dennis; (1843 – 1922) (Frederick Eaton & Catherine Kern); Esther married (1) George H. Dennis (1843 – 1883) (William Dennis & Mary Crygier) in Sandwich Ma. on June 21, 1863.